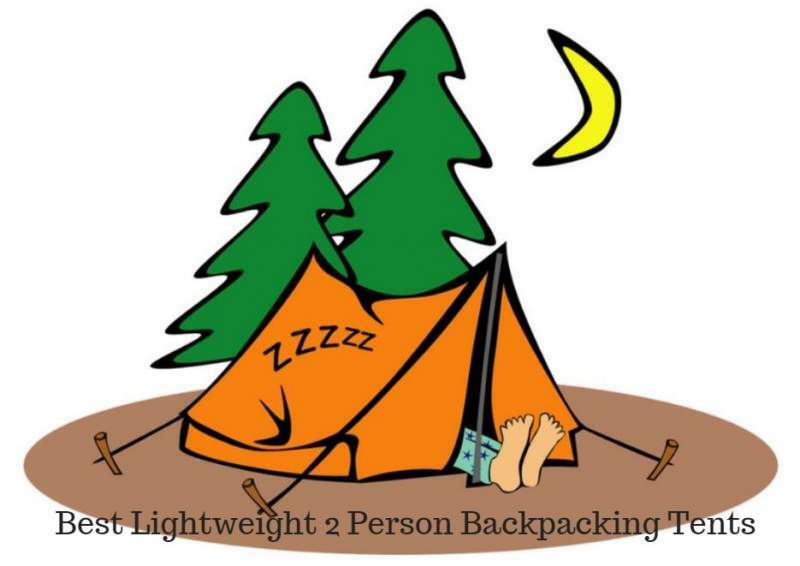 Here you have my list with best lightweight 2 person backpacking tents in 2019, all below or close to 2 kg (4.4 lb) of weight and all from top brands in this industry. Please keep reading. Some of the tents in the list are new on the market and some are modified versions of the existing tents. But some of them have been around for a number of years already. I keep the weight limit at 2 kilograms (4.4 lb) or very close to it. There is no particular reason for this number and not some other, but if the weight is shared between the two users, this is still very reasonable. Going above this looks too heavy for me, as you can imagine, the lighter the tent the better. But the weight in the absolute sense is not the only important parameter, equally important is the area/weight ratio. This is why I give this number explicitly for every tent in the list, and I give this for the inner area, as well as for the total protected area, you need them both to understand the features of a backpacking tent. Many of the tents are formally freestanding, but this term is not always completely clear and accurate. They have vestibules and those must be staked. I have discussed this issue in my another text about freestanding tents. All the tents are presented in detail in my separate reviews so please follow the links for more. You realize from the names that those are the top brands in this industry. 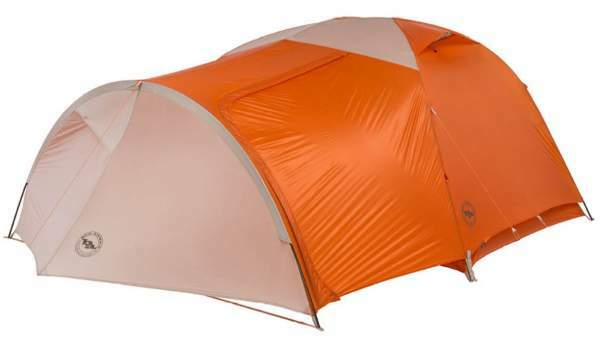 Big Agnes C Bar 2 Backpacking Tent. 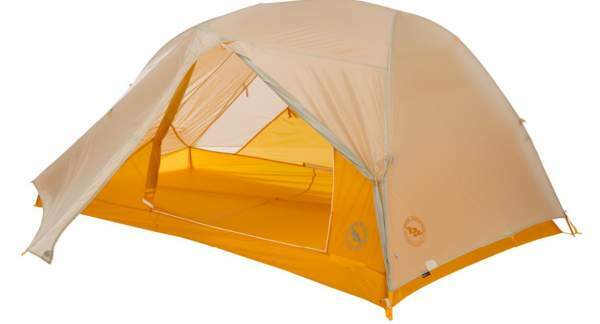 This is a 3-season backpacking tent which weighs 4 lb (1.81 kg) and it offers 28 ft² (2.6 m²) of the inner floor area. You also have a front vestibule with 7 ft² (0.7 m²). 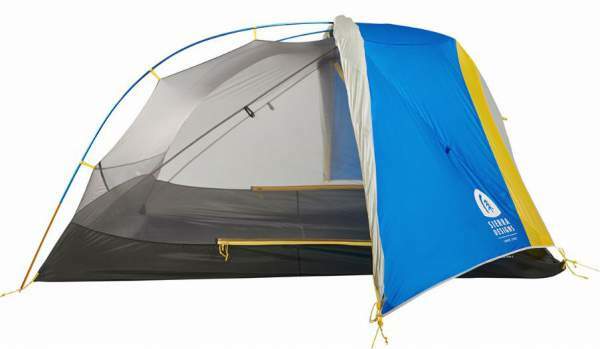 The tent is with the single front door so both users have the same access to it. The packed size (L x D) is very good 19 x 6 inches (48 x 15 cm). The inner area/weight ratio here is 1.4 m²/kg and the total protected area/weight ratio is 1.82 m²/kg. The poles are aluminum and you have a dual hub design. The waterproof rating is the same for the fly and the floor and it is 1500 mm. The peak height is typical, so you have 41 inches (104 cm). Please follow the link for more. Big Agnes Copper Hotel HV UL2 Tent. The letters UL in the name of this tent mean ultra-light and here this implies 3 lb 13 oz (1.73 kg). The inner floor area is 29 ft² (2.7 m²). But see also its total area which is no less than 65 ft² (6.1 m²). You will not find many backpacking tents that offer such a comfort. There are two asymmetric vestibules here, one looks more like a porch with its own pole. The inner area/weight ratio is 1.6 m²/kg and the total protected area/weight ratio is 3.5 m²/kg. The poles are DAC Featherlite NFL aluminum, and you have them 4 in a hub design. The fabric is silicone treated and this is also a random rip-stop nylon with 1200 mm waterproof polyurethane coating. There are several vents here so ventilation is optimal. You also have a large ceiling pocket and media pockets for storage. All in all, this is a top quality and very reliable tent. The Big Agnes Fly Creek 2 Platinum HV tent. This is an incredibly lightweight tent with the packed weight of only 2 lb (907 g), so currently, I do not think that you can find anything lighter on the market. So let’s see what this tent offers. The inner space is 28 square feet (2.6 square meters), and you have one vestibule which offers 7 square feet (0.7 square meters) of space. So this is not a lot of area but two backpackers can manage with it. 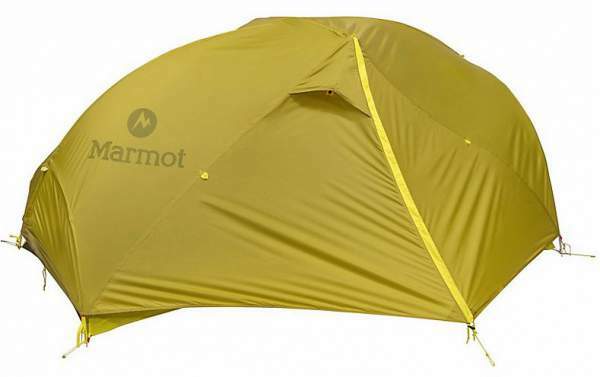 On the other hand, this tent is so lightweight that you can use it also as a solo tent. Note that you have one door on the narrow side. The inner area/weight ratio is 2.9 m²/kg and the total protected area/weight ratio is 3.6 m²/kg. You have a single Y-shape DAC Featherlite NFL pole so the structure is freestanding and the material is the best of the best. The floor and fly are silicone treated nylon rip-stop and it is with 1200 mm waterproof polyurethane coating. 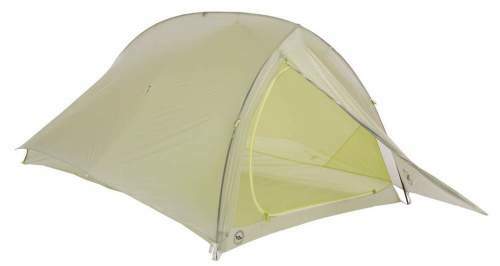 Big Agnes Tiger Wall UL2 Backpacking Tent. 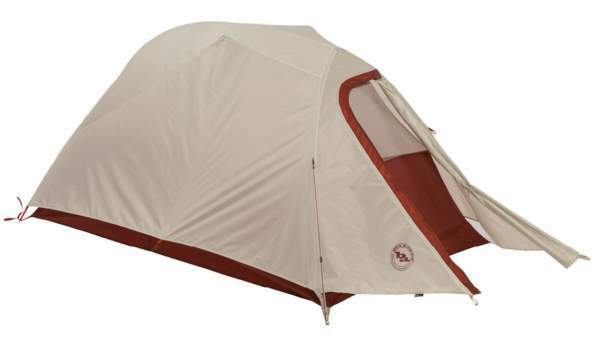 This Tiger Wall UL2 tent is the lightest 2-door & 2-vestibules tent ever built by this brand. Yet in spite of its incredible packed weight which is 2 lb 8 oz (1.13 kg), this tent offers more comfort than you would expect. So the headroom is large because of the extra brow pole that lifts the side walls, and you have plenty of pockets to store small items. This is a Y-shaped single pole hubbed structure with the highest quality DAC Featherlite NFL aluminum poles. So it is a freestanding design and the inner floor area is 28 ft² (2.6 m²), but you also have 16 ft² (1.4 m²) under the two vestibules. The inner area/weight ratio is 2.3 m²/kg and the total protected area/weight ratio is 3.5 m²/kg. The peak height is 39 inches (99 cm). The fabric is ultra light as you would expect and the declared waterproof rating is 1200 mm. Note that they also have a 3-person version. Please follow the link for more. Exped Mira II HL Tent. 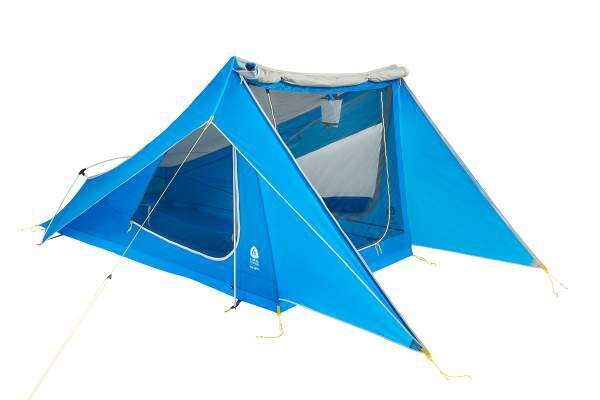 The Mira II HL is a top quality item with DAC NFL poles and ripstop nylon used for the fly and the tent. It offers two doors and two vestibules with the inner area of 29 ft² (2.7 m²) and the total area 43 ft² (4 m²). This is a lot of space for a backpacking tent. The frame is semi-freestanding and you have three poles that you pass through the sleeves so there are no hub elements here. The tent comes with a 1500 mm waterproof rating and this is for both the fly and the floor. The weight is 3.3 lb (1.5 kg), quite remarkable in view of its two doors and vestibules. The inner area/weight ratio is 1.8 m²/kg and the total protected area/weight ratio is 2.7 m²/kg. Please follow the link for more details. This is a 3-season ultra-lightweight tent which weighs only 3 lb 8 oz (1585 g) and it packs to 18 x 6.7 inches (45.7 x 17 cm). So these are exceptional numbers. The inner floor area is 29 square feet (2.7 m²) so it is very similar to the tents shown above. You also have two vestibules which add 6.9 + 5.2 square feet (0.64 + 0.48 m²). The inner area/weight ratio is 1.7 m²/kg and the total protected area/weight ratio is 2.4 m²/kg. The poles are DAC NFL aluminum with 9.3 mm and 8.7 mm diameter. The fabric is as follows. The floor fabric is 40D 100% nylon, W/R, F/R, and the fly fabric is 30D 100% nylon ripstop, silicon PU. The waterproof rating is 2000 mm for the floor, and 1800 mm for the fly. The peak height is typical, 41 inches (104 cm) and you have two doors here and inside there are two mesh pockets and one lampshade pocket. Please follow the link for more. Here you have something exceptional, this is a very lightweight 4-season tent and you realize from the picture that the inner tent’s structure is quite different from the other tents here. There are just a few mesh sections and this is to preserve the warmth in a cold environment. The tent weighs 4 lb 1 oz (1.86 kg) and the inner floor area is 29 square feet (2.69 m²). There are two vestibules which add 17.5 square feet (1.62 m²). So here you have the inner area/weight ratio of 1.4 m²/kg and the total protected area/weight ratio is 2.3 m²/kg. For a winter tent, these are great numbers. You have 2 Easton Syclone poles and the rainfly is 20D ripstop nylon with 1200 mm Durashield polyurethane & silicone while the floor is 30D ripstop nylon 3000 mm Durashield polyurethane & DWR. 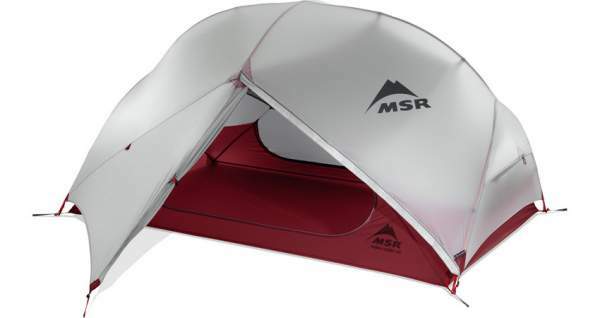 MSR Hubba Hubba NX 2 tent. This is an award-winning and famous tent with a DAC Featherlite NFL poles system which is double-hubbed so you have Y-shaped profiles on both ends, plus a brow pole. This makes the structure freestanding. The tent weighs 3 lb 13 oz (1.73 kg) and the floor area is 29 square feet (2.7 m²). There are two vestibules which add 17.5 (8.75 + 8.75) square feet (1.62 m²). This gives 1.6 m²/kg for the inner area/weight ratio and 2.5 m²/kg for the total protected area. This is a 3-season tent, with 1200 mm rating for the fly and 3000 mm for the floor. It is a bit low with the interior height of 39 inches (100 cm), but this is not a big issue for backpacking. Please read more in my full review. 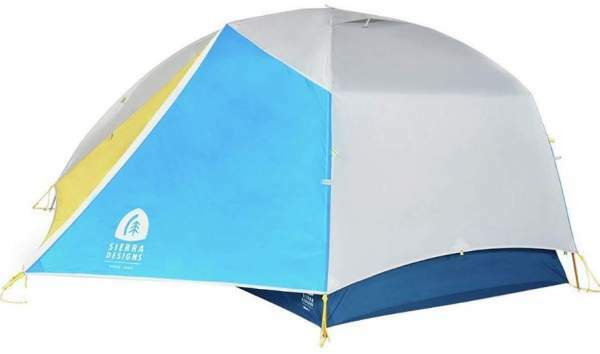 Sierra Designs Clip Flashlight 2 Tent. This is a tunnel-type tent with two asymmetric poles, with one front door and one vestibule. So this is a non-freestanding construction. This is a modified version of a famous tent that has been around for several decades already. The weight is 3 lb 14 oz (1.76 kg) and the inner area is 30 ft² (2.79 m²) and the vestibule area is 8.8 ft² (0.82 m²). This implies that you have the area/weight ratio of 1.6 m²/kg for the inner area, and 2.0 m²/kg for the total protected area. The waterproof rating for the fly is 1500 mm, and for the floor it is 3000 mm. The tent allows for an awning configuration with the help of your trekking poles. You have 2 DAC press fit 8.7 mm aluminum poles. The Divine Light FL 2 tent. 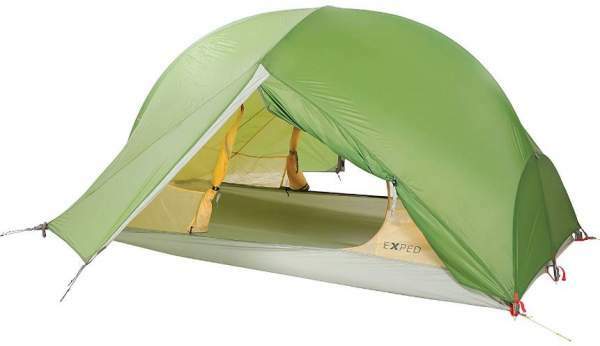 This is a unique design with 3 doors in total and the tent weighs 3 lb 15 oz (1.79 kg). Note that this is a single layer structure, only the doors are double-layers. The tent is non-freestanding, and it packs nicely to 14.5 x 6.5 inches (37 x 17 cm). It offers 29.3 square feet (2.72 m²) of the floor area and the weight is 1.79 kg. There is also the vestibule area of 10.30 ft² (0.96 m²). This gives the area/weight ratio of 1.52 m²/kg for the inner area and 2 m²/kg for the total protected area. As for the materials, you have two vertical poles and one loop pole, those are DAC NSL / DAC Pressfit, and the fly is 20D Nylon Ripstop, Silicon, 1500 mm PE, FR CPAI84 while the floor is 30D Nylon Ripstop, WR, 3000 mm PE, FR CPAI84. 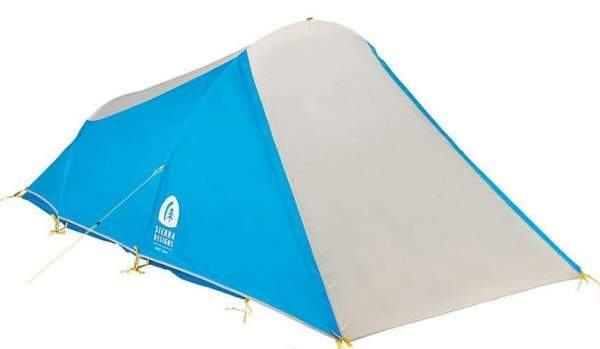 Sierra Designs Meteor 2 Tent. This is a freestanding tent with pre-bent poles for extra volume, with two doors and two vestibules and a roll-up fly design so you can enjoy sleeping under the stars when the sky is clear. The packed weight is 4 lb 8 oz (2.04 kg) so this tent is a bit heavier than most of the tents here in the list. The inner floor area is 29.8 ft² (2.77 m²) and the vestibule area is 9 + 9 ft² (0.84 + 0.84 m²). This gives the area/weight ratio of 1.4 m²/kg for the inner area, and 2.2 m²/kg for the total protected area. You have 2 DAC press-fit aluminum poles. The fly is 68D 190T Poly Taffeta with 1800 mm PU WR FR CPAI84 and the floor is material. The tent is a 3-season structure with lots of mesh and with a vent on the fly. Sierra Designs Sweet Suite 3 Tent. 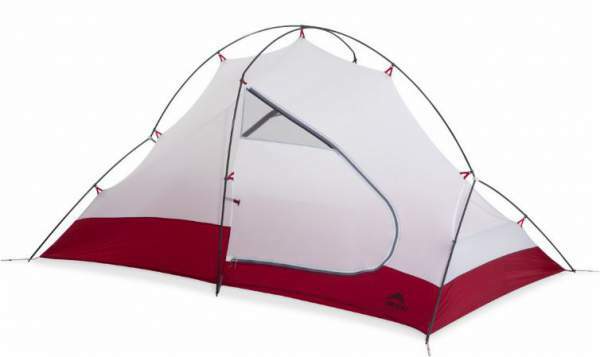 This is a new 2018 series by Sierra Designs, a lightweight tent with a unique pre-bent pole geometry, with two doors and two vestibules, and with a stargazing configuration shown in the picture above. The tent weighs only 3 lb 10 oz (1.64 kg). which is amazing in view of all its features. The floor area is 29.2 ft² (2.71 m²) and the vestibule area is 8.9 ft² + 8.9 ft² (0.83 m² + 0.83 m²). So you have the area/weight ratio of 1.65 m²/kg for the inner area, and 2.7 m²/kg for the total protected area. The packed size is great (L x D) 16.5 x 6.5 inches (41.9 x 16.5 cm). The pole is DAC Featherlite aluminum, the fly is 20D Nylon Ripstop, Silicone 1200 mm PeU, FR CPAI84, and the floor is 30D Nylon Ripstop, Silicone 1200 mm PeU, FR CPAI84. So these are quality materials, the waterproof rating is not so impressive but you do not need more. I hope you realize that these are indeed lightweight 2 person backpacking tents. Some of them are not with so high waterproof rating, but you will not need more. More essential is that all seams are properly sealed, this is why I include only the most reliable brands and models. This list will be updated regularly so please bookmark this post and visit it from time to time. Thank you for reading. In the case of questions or comments, please use the comment box below. I wish you a nice day.